Pure - Event Experience — Fer. PURE Life Experiences wanted to bring back its attitude and bohemian soul with a complete rebrand. I’ve had the opportunity to create a new visual language for the event that translated its energetic and adventurous spirit and connected to Marrakech, where the event is hosted. The project included installations, signage, bespoke lettering and collateral. 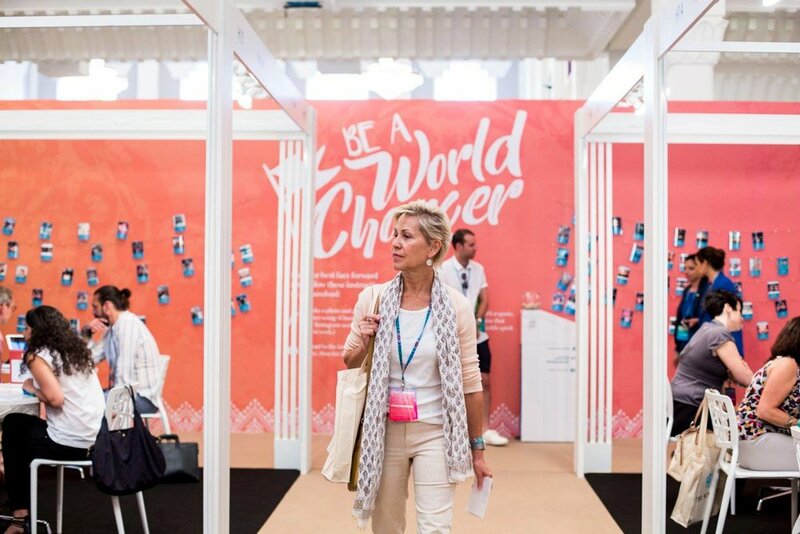 The challenge was to design a new look and complete event experience that celebrated the true, bohemian and diverse spirit of travel by channelling a festival vibe, departing from the traditional conventions of a trade event and leaving the competition in the dust. 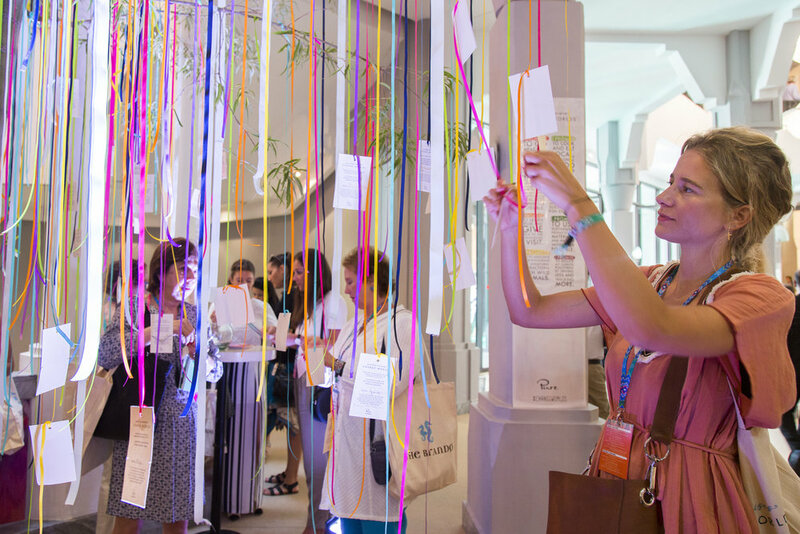 Created to bring to life the 2016 campaign, Small Promises Change Worlds, visitors to this living tree were encouraged to pick up a bracelet representing a particular ‘small promise’ they could keep in their daily lives and sign a card expressing their commitment to that promise, before hanging it on the tree. Over the three days of PURE we created a beautiful, growing symbol of the community’s collective promise to Change Worlds. So that the spirit of these promises lives on, after PURE 2016 came to a close the Promise Tree was transported to the garden of a boarding house in nearby Asni, one of several managed by PURE’s chosen charity, Education For All. 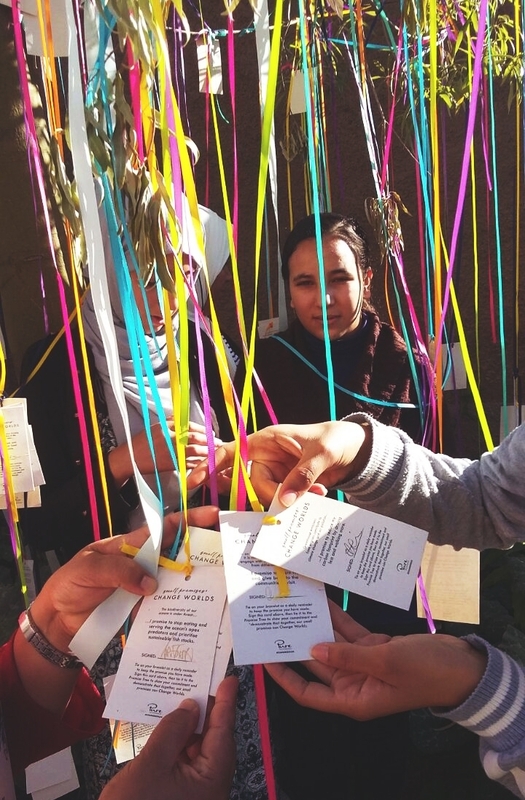 EFA is dedicated to helping Moroccan girls get an education and achieve their potential. To engage with the new festival concept of the show, the flower wall photo activation was created, an opportunity for delegates to be loud and proud about being part of Pure. Back in the London studio I worked with chalk to hand-draw all flowers, later the artwork was scanned and digitally printed in Marrakech, to bring the activation to life paper tissues flowers were carefully added, the result was a show-stopper that generated the highest social media engagement during the event. 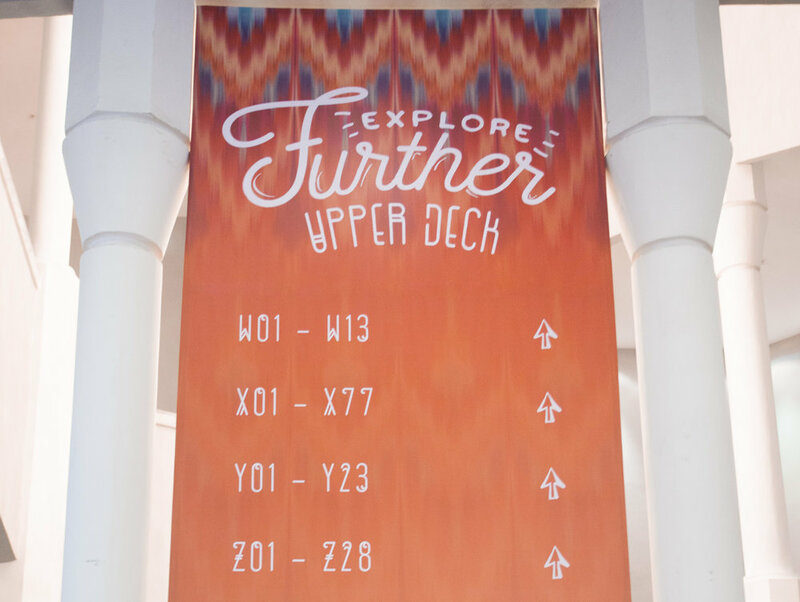 PURE 2016 enjoyed high social engagement throughout the event, with the most shared pictures being mainly of the installations and collateral, proving the success of its rebrand.